Band Profile -- Great Scott! Great Scott! was born in the Fall of 2002, on the campus of Marian College in Indianapolis, IN. Remaining original members include lead vocalist/co-songwriter Brett Wiscons and lead guitarist Chad "Duff" Moore. 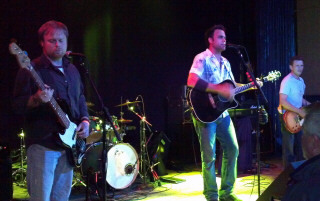 The group is rounded out by bassist/vocalist Jon Shoulders and drummer Jason Kuykendall. Their original music is a conglomeration of alternative, country, pop, soul and rock with a driving bass section, and sing-a-long choruses. The band draws influence from a number of sources including Counting Crows and Tool, to Matchbox 20 and Pearl Jam. After over 500 shows through six Midwestern states (Indiana, Ohio, Kentucky, Illinois, Michigan and Missouri) and a trip to Virginia Beach to take part in the world famous Vans Warped Tour in '08, GS! has developed its sound and style to be just that; their OWN sound and style. A bit of rock with soul and gusto. The band feels just as comfortable playing a gig at an "originals only" club to playing a wedding reception with a set of rock covers. Check out the "bands we cover" in the blog section. The Band has performed in Indianapolis on the popular FOX 59 TV Morning Show and been live in the studio with the wacky Smiley Morning Show on Z99.5. They have opened for national recording acts like Seven Mary Three, Days of The New, Sponge and Virginia Coalition. They also donate their time and talent for numerous charitable events around the city of Indianapolis and state of Indiana including: Cystic Fibrosis, Juvenile Leukemia and The American Diabetes Association. Great Scott! is a true "DIY" band as they self-finance all tours, merch and CD releases. They also book over 90% of their own shows and are planning a tour of the Midwest for the summer of '09. 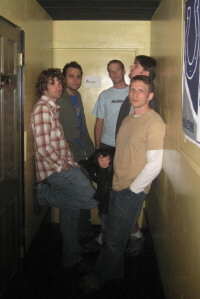 As of 2009, the band has played at some of the most popular Midwest venues including: The Vogue, Indianapolis; The Music Mill, Indianapolis; Elbo Room, Chicago, IL; Piere's, Ft. Wayne, IN; Dirty Jack's, Cincinnati, OH; Up Front and Company, Marquette, MI and The Verve, Terre Haute, IN to name a few. October of 2009 marks the 7 year anniversary for the band. Look for more high-profile gigs to follow the band into the new year.